Dr. Stephanie Dance-Barnes is an advisory board member for the HeArts Studio at CDI. She is currently the Interim Associate Provost and Dean of the University College and Lifelong Learning at Winston Salem State University (WSSU). She is also an Associate Professor of Cellular and Molecular Biology in the Department of Biological Sciences, where she has served as Co-Chair. Dr. Dance-Barnes received her Bachelor of Science degree in Biology/Pre-Medicine at Elizabeth City State University (ECSU) in 1997. She then went on to complete her Masters in Biology at North Carolina Agricultural Technical State University in 2001. Later in 2007, she became the first African American female to receive her PhD from Wake Forest University School of Medicine in the area of Cancer Biology and Toxicology. During her graduate studies, Dr. Dance-Barnes received numerous research, abstract, platform talk, travel, and scholar awards from organizations such as American Association of Cancer Research, Society of Toxicology, and Genetic Environmental Mutagenesis Society. She also received research funding and fellowships from the National Institute of Health, National Cancer Institute, and the American Foundation for Aging Research, for her work dealing with lung tumor initiation, promotion, and progression in mouse models. Dr. Dance-Barnes then went on to complete her Post-Doctoral work as a research associate in the prestigious laboratory of Dr. Charles Perou of the University North Carolina Chapel Hill Lineberger Comprehensive Cancer Center (LCCC). It has always been Dr. Dance-Barnes’ desire to return to a historically black college/university similar to her alma mater ECSU in order to pass own her knowledge and expertise in which she has accumulated over her years of study and work, just as it was afforded to her. This led to her joining the faculty at WSSU. Since being at WSSU, she has been awarded numerous professional and teaching awards for her innovative strategies in the classroom. This includes receiving the Insight into Diversity Leaders in STEM award and being awarded American Association of Cancer Research Minority Serving Institution Faculty Award. 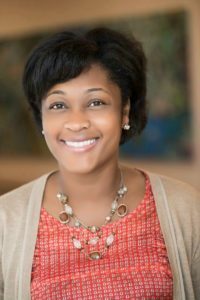 Most recently in collaboration with Wake Forest University and NC A&T University, Dr. Dance-Barnes help secure both Department of Defense and National Institute of Health funding that promotes undergraduate cancer research.